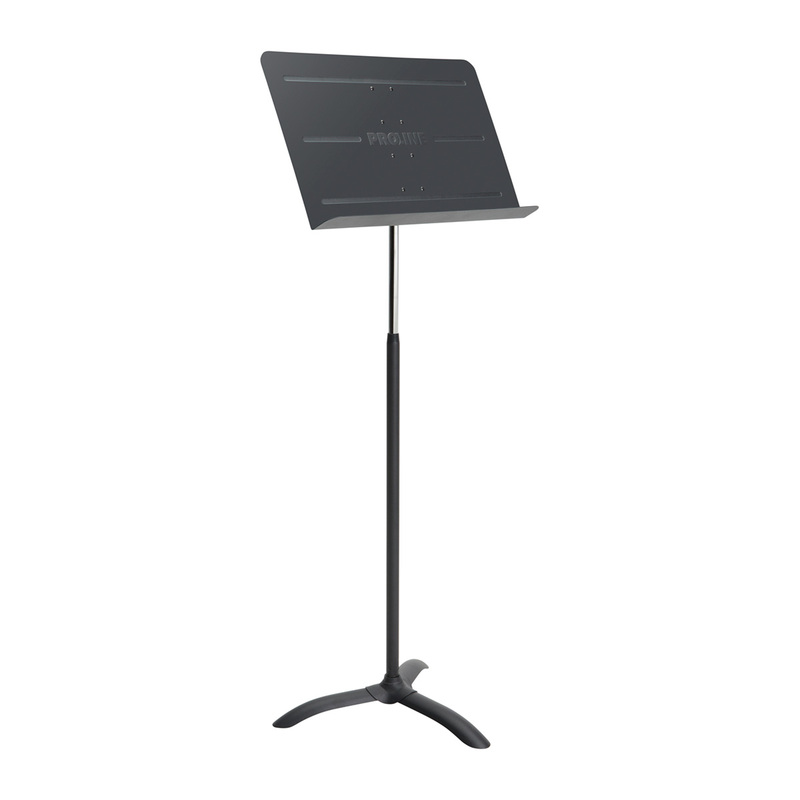 Featuring no-tool assembly and one-hand height adjustments, the MS300 is built for long-term, heavy usage for private practice, rehearsal rooms, performance stages and institutional classes. 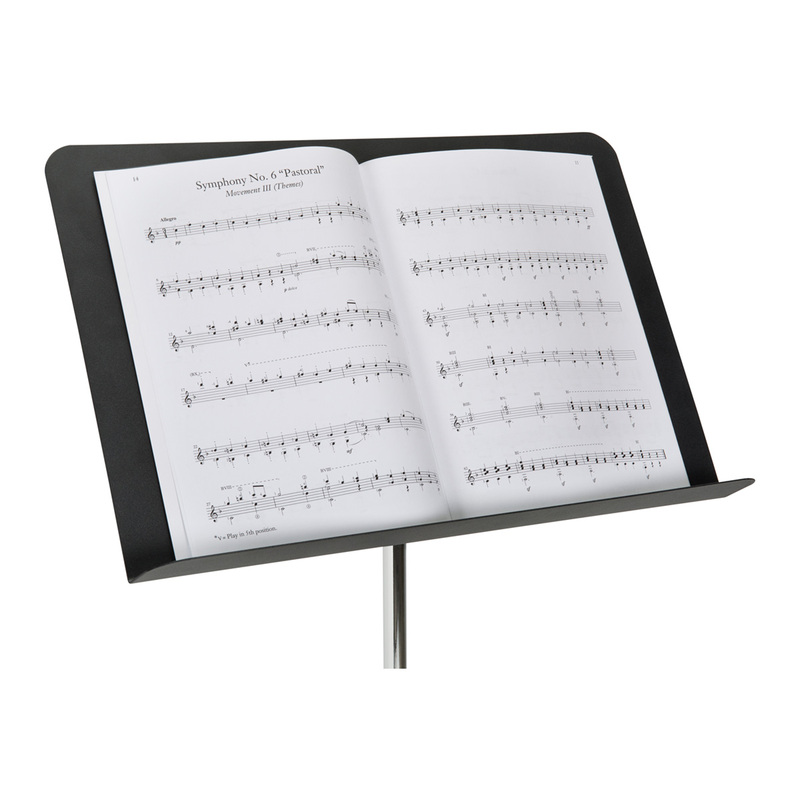 A wide, metal shelf with a one-knob adjustable tilt supports music sheets, books, and manuscripts — even stringed-instrument bows. 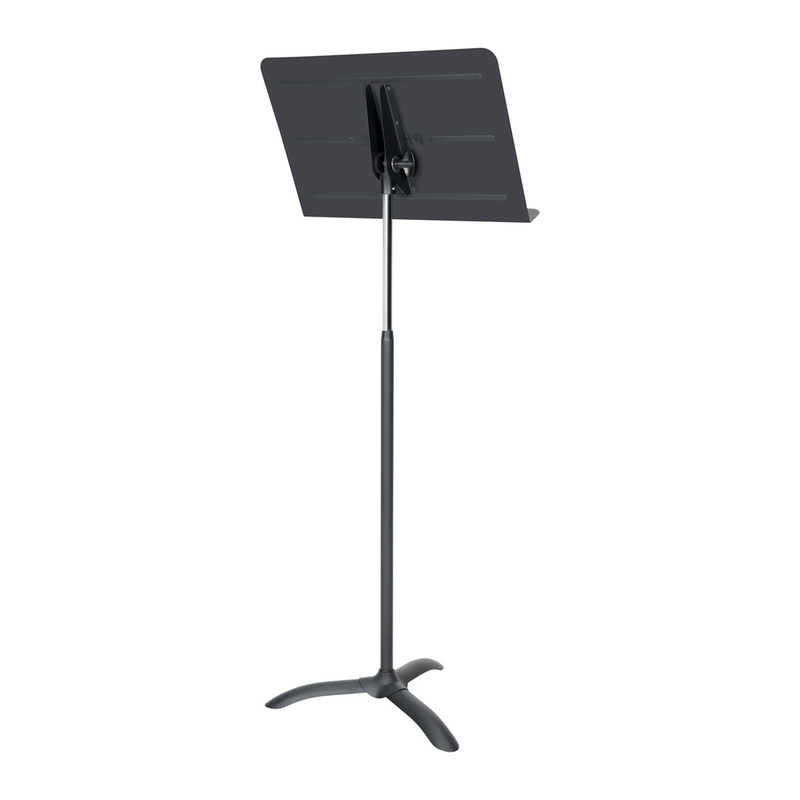 With a fixed 3-leg base and a sturdy metal shaft, this stand is designed to stay where you put it and provide years of reliable service. 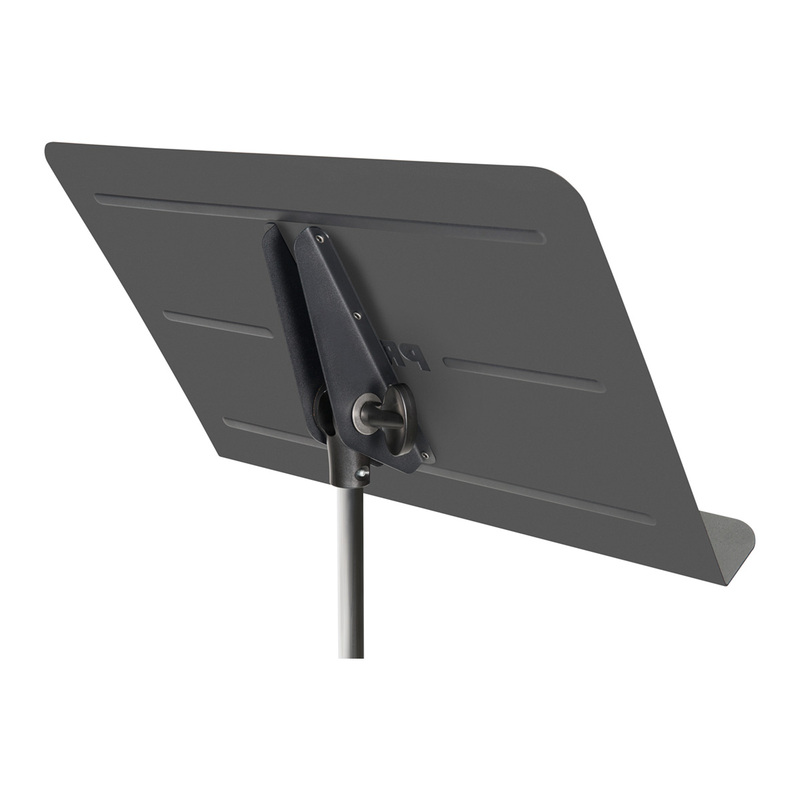 A matt black finish easily disappears on stage to minimize distractions. Also available in a space-saving 6-count pack (MS360) for institutional orders.